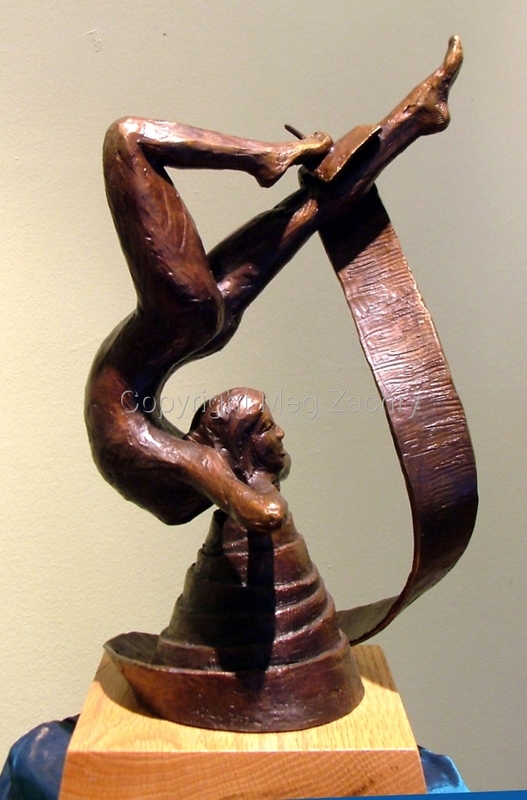 A bronze sculpture of a woman acrobat. She is balanced on a scroll of paper wound into a cone (the writer is always balanced on a point). With her foot she is writing on the scroll, the rest of which hangs in an elegant serpentine shape leading into the coil. Her face is contemplative even as she performs her incredible task.